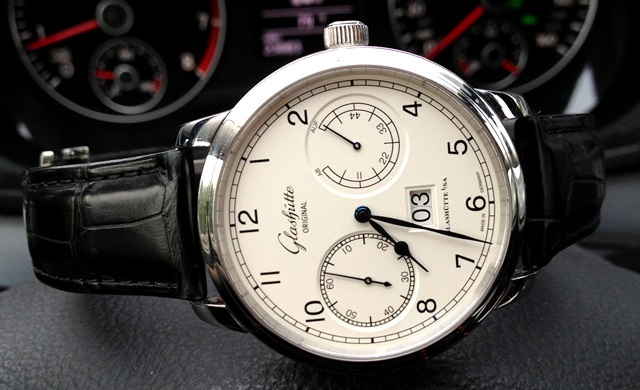 TimeZone : Glashuette Original » Observer: Looked So Good on my Wrist I Had to Take it Home! I was looking for something that could bridge a few occasions. I have had just about every version of IWC's 5001 and while each one looked fantastic, they never felt right. The thin bezel and thick case ultimately turned me off.